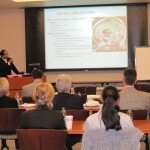 Dr. Castellino explains his research on medulloblastomas to participants attending the SBTF’s Grant Award Ceremony. 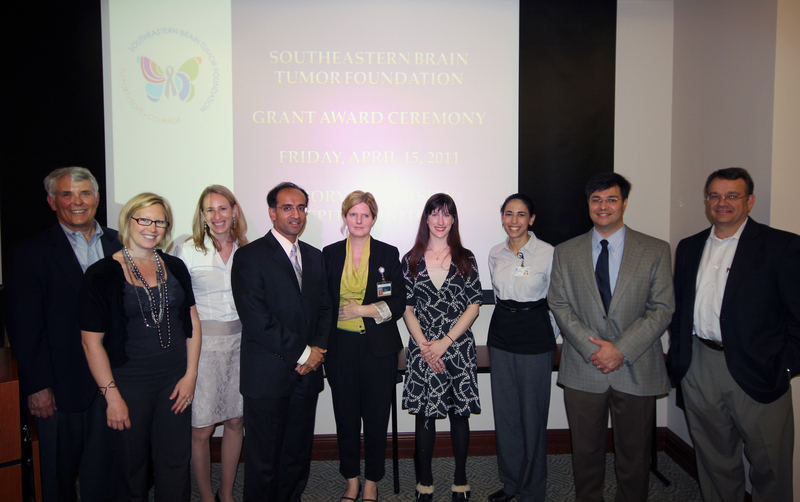 Two Emory researchers are being recognized by the Southeastern Brain Tumor Foundation (SBTF) for their work in pediatric brain tumor research. 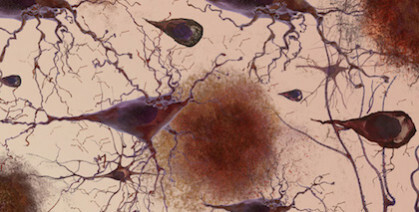 Tracey-Ann Read, PhD, assistant professor in the Department of Neurosurgery, Emory University School of Medicine and director of the Pediatric Neuro-Oncology Laboratory at Emory was awarded a $75,000 grant for her work. She is studying the cell of origin that is responsible for the highly malignant pediatric brain tumor known as an Atypical Teratoid Rhabdoid Tumor (AT/RT). She is also developing a mouse model to study this very lethal brain cancer that occurs in early childhood. Robert Craig Castellino, MD, assistant professor of pediatrics at Emory and pediatric hematologist/oncologist at Childrenâ€™s Healthcare of Atlanta at Egleston received $50,000 to support his research efforts. He is studying how the childhood brain cancer, known as medulloblastoma, can metastasize from the brain to other sites in the body, specifically the spine. 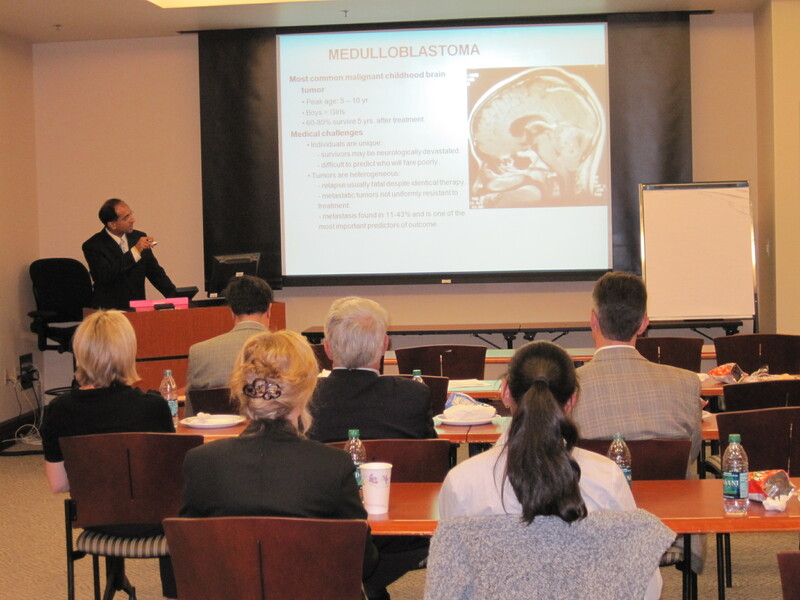 Medulloblastoma is the most common pediatric malignant brain tumor. 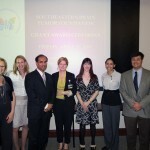 SBTF board members and researchers who were awarded grants pose following the April ceremony. Read and Castellino received the awards at the SBTFâ€™s Grant Awards Ceremony in April at Emory University Hospital Midtown. Two other researchers from Duke University were also presented with grant money for their contributions in brain tumor research in adults. Emory neurosurgeon Costas Hadjipanayis, MD, PhD, is the president of the Southeastern Brain Tumor Foundation. He says research, from young investigators such as these, is crucial in the race to find a cure for brain tumors. As federal research funding becomes even more difficult to obtain with cuts in funding, private foundation grants, such as from the SBTF, can permit researchers to start important research projects that can provide preliminary data for bigger grant proposals. 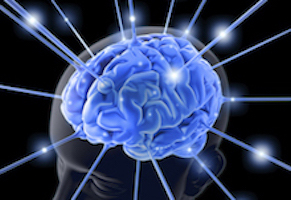 The SBTF awards $200,000-300,000 each year to major medical centers throughout the Southeast in support of cutting-edge brain and spinal tumor research.